38 ‘best of breed’ Porsches were sold at Silverstone Circuit on 21st October in just three hours for a total of £2.5 million. 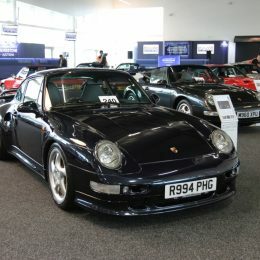 Over 300 Porsche Club GB members joined regular bidders to create one of the busiest auctions of the year. Organisers Silverstone Auctions achieved a respectable 64 per cent sales rate for cars and 86 per cent for automobilia, making a total sales rate of 74 per cent on the day. 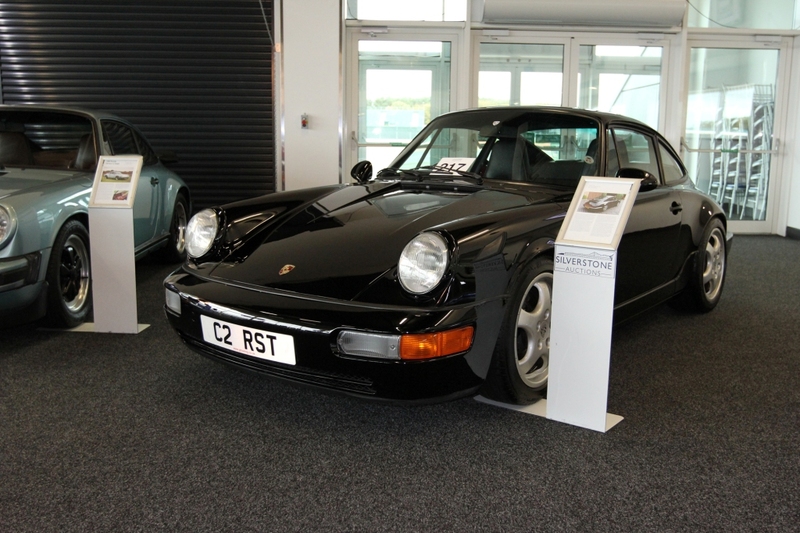 Over £2.5 million changed hands in just three hours at the annual Porsche Sale organised by Silverstone Auctions in association with Porsche Club GB at Silverstone Circuit on 21st October. 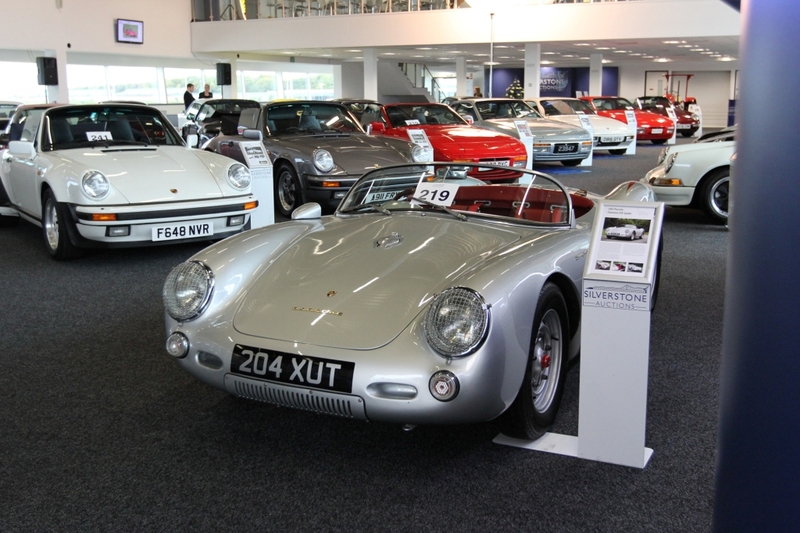 In a packed sale room swelled by over 300 Porsche Club GB members, the Silverstone Auctions team achieved a respectable sales rate of 64 per cent for cars and 82 per cent for automobilia, with a number of cars smashing their pre-sale estimates. International interest was high with internet and phone bidders from Denmark, Poland and Indonesia among others, but the top cars sold in the room. The online and phone bidders were squeezed out early on in the battle for a very rare 1992 Porsche 911 (964) RS Touring by a heated two-way battle in the room. One of only six supplied to the UK, the car sold to applause for £219,375 including premium, £34,375 above its lower estimate. 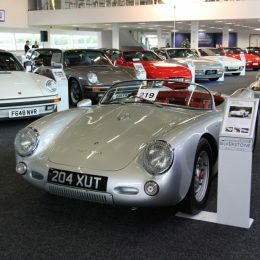 Also beating its estimate was a superbly built 1955 Porsche Chamonix 500 Spyder recreation, which was hammered away to applause for £43,875, far in excess of its lower estimate of £32,000. Built by famed US engineers Special Editions Inc., for F1 Assistant Race Director Herbie Blash, this faithful replica of the car made famous by James Dean drew enthusiastic bidding. 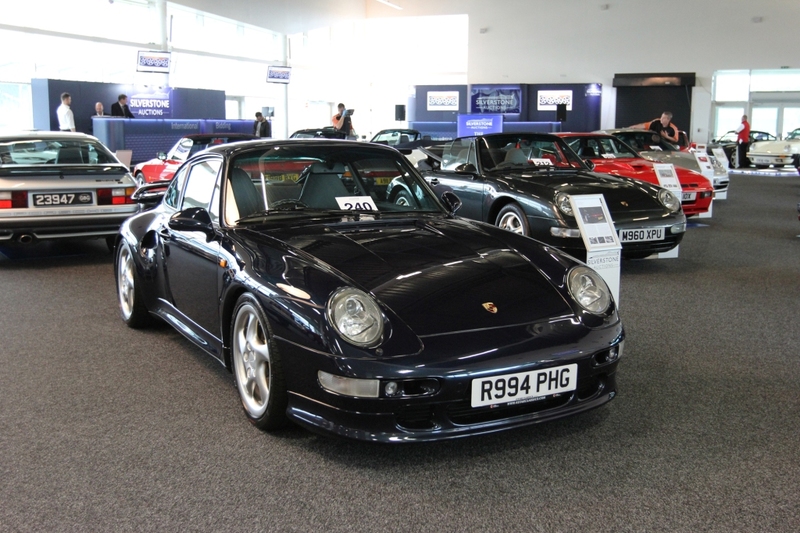 The top price paid on the day was for a stunning 1998 Porsche 911 (993) Turbo S which sold on site for £253,125 after a two way battle between room and phone bidders. One of the most historically significant cars for sale, a 1962 Porsche 356B ‘Super 90’ Cabriolet fetched £163,125, while the quirkiest lot was a 1962 ‘Standard J’ Tractor which sold for an above estimate £15,525. 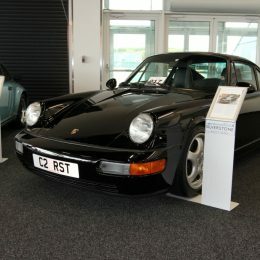 While 911s made up the bulk of the cars on offer, front-engined Porsches also performed well, topped by a 1981 924 Carrera GT which sold in the room for £37,687, significantly higher than its £30,000 lower estimate. Automobilia is always popular with Porsche fans at this sale, and this year was no exception with 86 per cent of the lots on offer finding a home.